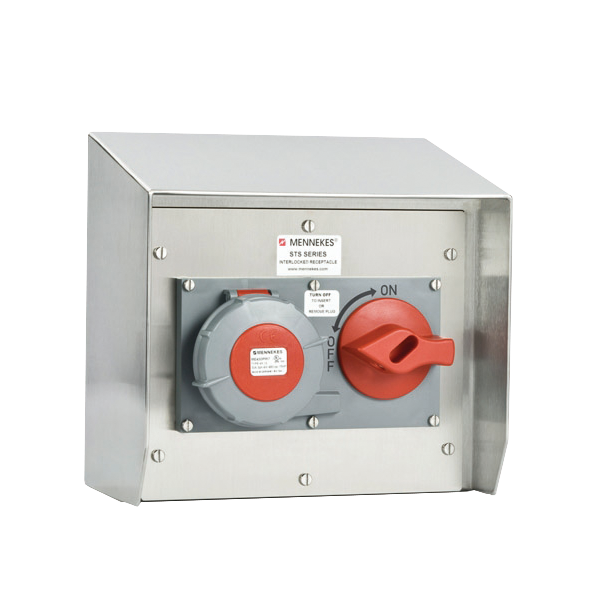 MENNEKES NEMA 4X SPEC Grade switched and interlocked receptacles provide safe power handling and improve cleanability where sanitation is a must. They house an interlocking receptacle and load-rated disconnect switch in one pre-wired unit that's easy to install. A patented interlock mechanism prevents the switch from being turned "ON" unless the plug is fully inserted, and it stops removal unless the switch is in the "OFF" position. 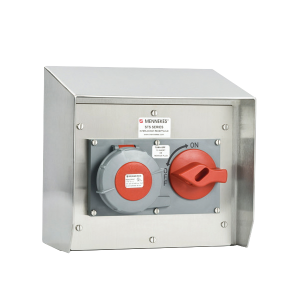 Receptacles are available in 20A and 30A IEC 60309 pin and sleeve style and are fully compatible with other manufactures. The NEMA 4X stainless steel enclosures feature a 15 degree sloped roof and drainage channel to ensure that corrosive materials cannot gather on the unit.